Mathias Heise is a 25 year old harmonica player, pianist and composer from Denmark. He released a fantastic album of his original compositions arranged for The Danish Radio Big Band last September. 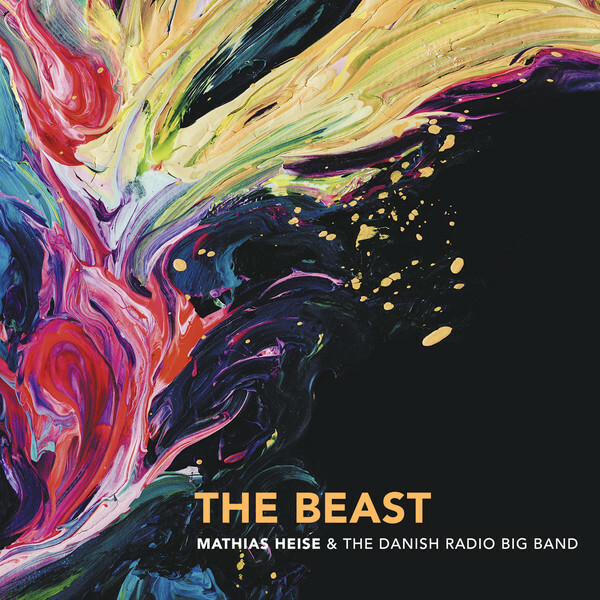 The album is called ‘The Beast’ and it refers to Mathias impression of a big band: “A big band has incredible musical powers – almost like a beast that has to be tamed. But once you’ve tamed it, it can do incredible things”. Fascinated by the sound and the possibilities of a big band it is a dream that became reality with this album. Some of the band members have been Mathias’ teachers and so we also see here the passing of the torch to the next generation of jazz musicians. The album starts with ‘Para Mi Madre’ a soft and relaxed latin-style song Mathias has written for his mother. The tune has a great melody and a very easy groove that shows the excellence of this band. The soloists are Gerard Presencer on flugelhorn and Nicolai Schultz on flute and these two instruments emphasize the soft character. This tune is one of my favorites on the album. ‘Brain Soup’ is the second song and this song is much more serious stuff. Beginning with a heavy groove the brass sections play an almost improvisational melody in what Mathis Heise called ‘bombastical block harmonization’. The solo is based on modal harmonic sequences but handled perfectly by Mathias Heise. The song has a second part where Jakob Munck Mortensen sings some strange lyrics, accompanied initially by the rhythm section but ending with the brass section playing long notes and Peter Fuglsang on soprano sax improvising over these sound layers. An ambitious sound collage but performed excellently. The album continues with the title song ‘The Beast’. It starts with the piano playing dissonant seconds over a steady pulse pushed by bass and drums. Tenor sax and a distorted guitar play the melody of the A part, the flugelhorn plays long notes in the B part of the song. The first solo goes to Per Gade on guitar followed by Karl-Martin Almqvist on tenor sax, Kaspar Vadsholt on electric bass and pianist Nikolaj Bentzon. This song features the incredible rhythm section of this big band. Mathias Heise on harmonica returns with the next song ‘Repetition’, an ambitious composition. Mathias says about this tune: “The melodic DNA of ‘Repetition’ is made up of eight notes/intervals that are repeated over and over, but in new ways. The composition is inspired by the principles of the fugue, by Arnold Schönberg’s tone rows and also by Per Nørgård’s infinity series, which enabled me to construct an infinite – in principle – series of notes from the eight original ones”. And he continues: “I see the composition as a representation of the eternal repetition of life in new and beautiful ways”. ‘Evening Coffee’, dedicated to Mathias’ grandparents, is a beautiful ballad, starting with harmonica, guitar, bass and drums and the big band focusing on long notes creating harmonic layers. The first solo goes to Nicolai Schultz on flute followed by duets of flute/harmonica and guitar/harmonica. ‘One Man Army’ was written in honor of Mathias’ philosophical hero, Karl Popper. The song features Nikloaj Bentzon on piano. Bass and drums produce again a steady pulse on which harmonica and piano can rather freely improvise. The big band gets a chance to play an ‘a cappella’ interlude without rhythm section before we hear the main theme again. ‘Sudden Ascent’ is already the last song of Mathias Heise with the Danish Radio Big Band. Mathias says: “Sudden Ascent is one of my oldest pieces of music, which I composed back in 2013, and I’ve always dreamed of being able to arrange it for big band”. Again, drums, bass and piano provide a pushing groove, the arrangement gives all sections one more chance to shine and we hear excellent solos by Hans Ulrik on tenor sax, Søren Frost on drums in dialog with Mathias Heise on harmonica. This song ends with a great trumpet finale. The last song on the album is like an encore: ‘Kærlighedsmusik til Anne (Love Song)’ with Mathias Heise playing piano and harmonica. A beautiful ballad in a nice ‘blue’ mood, the harmonies modulate between major and minor and the harmonica got some extra reverb creating additional space. 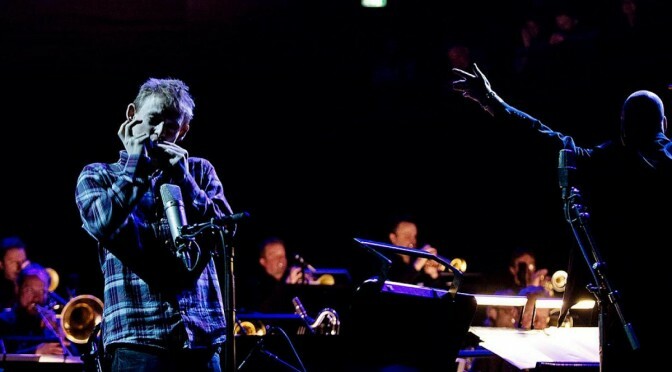 The songs from the album have been performed live with Mathias Heise as headliner when The Danish Radio Big Band toured Denmark last September. Every single concert received standing ovations from the audience as well as outstanding reviews. ‘The Beast’ even managed to get a full page review in one of Denmark’s biggest broadsheet newspapers ‘Politiken’, which is very rarely seen when it comes to jazz. To sum it up: An ambitious album with a fantastic big band and a great young artist who earned to be featured this way. Mathias Heise got the chance to materialize his dream and he took this opportunity and created a masterpiece. Please listen!